Primary school Zivko Brajkovski in Butel is attended by more than 700 students from different ethnic communities. The students study in Macedonian and in Albanian language of instruction. With the support of several multiyear USAID projects for the improvement of the interethnic integration, activities have been successfully implemented in this school for some time now, enabling better cohesion among students from different ethnic backgrounds. It is often said that being a teacher, an educator or a professor is one of the noblest professions. What do you like most about your profession? The teacher is specialized in a particular field that he/she teaches, but our work is not just about transferring knowledge. It is necessary to transfer such knowledge in a manner that the students can understand it and to pass it on at a level appropriate for their age. The knowledge should provoke the interest of the students, attract their attention and give them direction. We monitor the development of the students, but it is very important to also have good pedagogical skills. What I like the most in my profession is that we are motivators, guides and leaders. We have to adapt to the students, encourage them and commend them. We have to use different forms, methods and approaches. During the lessons I try to create an atmosphere where the student will acquire self-esteem and self-respect. I encourage the students to think critically. In order to be a good teacher, one must continually develop professionally. We must support the creativity of the students. I am very motivated to do my profession when I see the smiling faces of the students, i.e. when I see happy and satisfied students. Working in a multi-ethnic school brings even greater satisfaction and huge motivation. In addition to being a teacher, you are also the coordinator of the School Integration Team (SIT) whose role is to support the teaching staff in the implementation of joint student activities and to be a catalyst in the process of strengthening the interethnic integration in the school. How does the School Integration Team work in your school? The School Integration Team is functioning perfectly. It is a motivator and a creator and it gives support to the other teachers. It is finding a way to motivate, inspire and involve the new colleagues in this school integration process. There is an ongoing process of organizing workshops, extracurricular and curriculum activities, visits, excursions and primary school graduation parties with interethnic character. All teachers from our school are holding workshops of this type. However, in order to be able to function in this way, the team needs the support from the director, and even the municipality. In our school, the support from the director Rozalija Angelovska and from the municipality i.e. 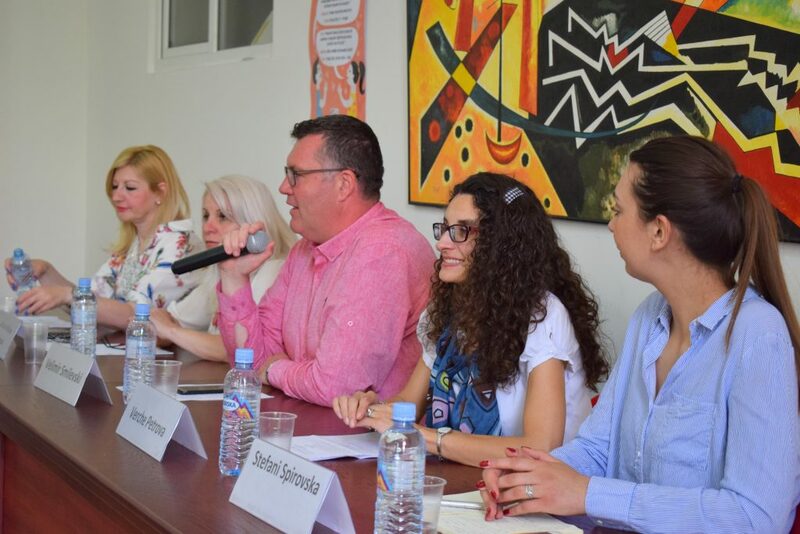 from the Mayor Velimir Smilevski and the department for public activities where Nikolina Nolevska is in charge of education, is on a very high level, which increases our motivation even more. What does a joint student activity in your school look like? Young people cooperate regardless of the ethnic community they belong to. They see that and learn it from us – the teachers. They see how we work together. The students and the teachers also participate in creative civic initiatives. Workshops are organized on topics proposed by the students themselves. Very often, the initiatives and the proposals of the students become reality. 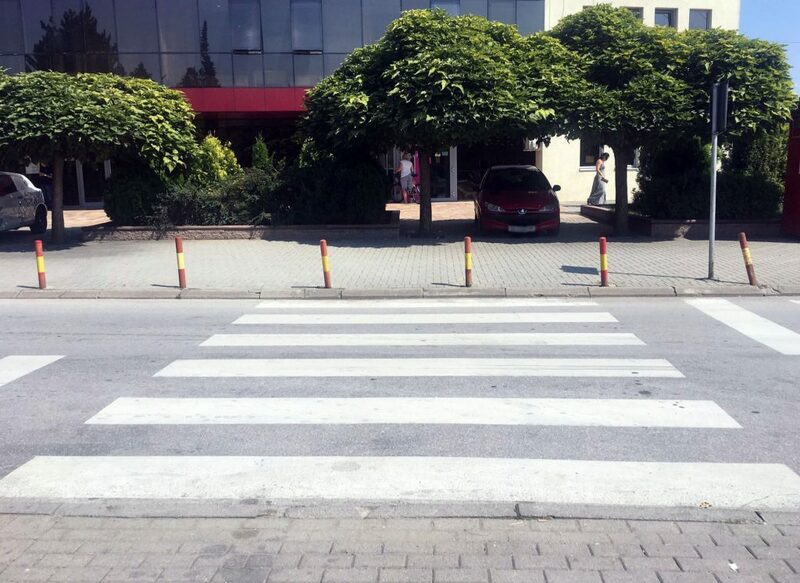 One such initiative was realized last school year – the students asked the city’s mayor to draw a pedestrian crossing next to the school, in front of the municipality. Very soon, that proposal became a reality. 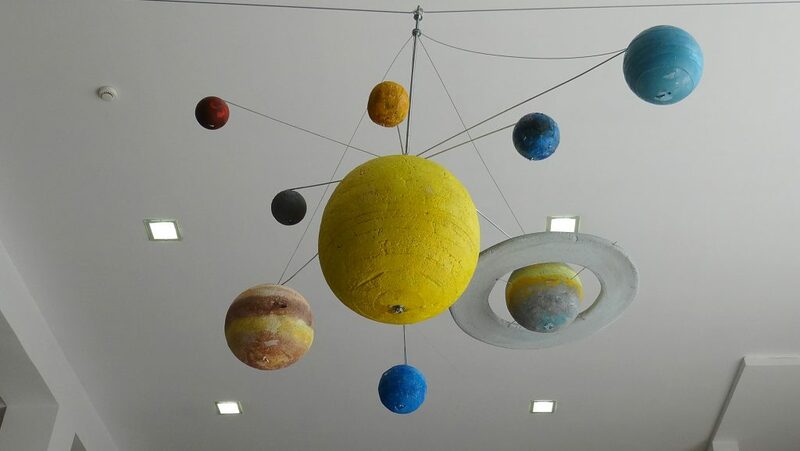 During one of the workshops, the students created a visual aid – a 3D Solar System which is placed in the school hall. 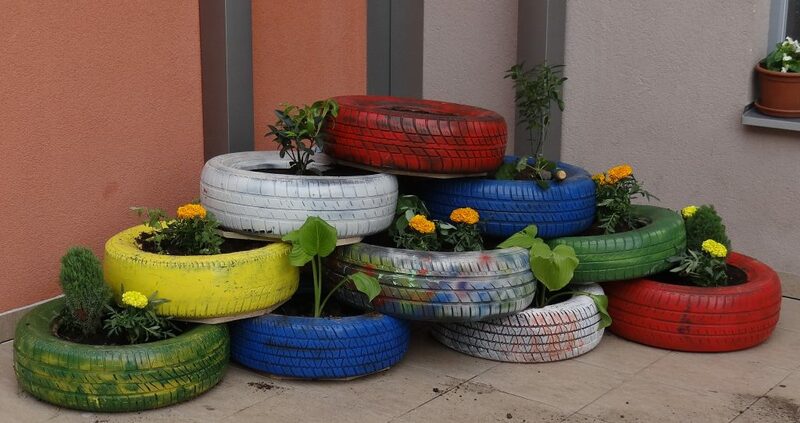 With others, they beautify the school yard, the hall and the classrooms. They contribute to the improvement of the school climate. They are proud of their works and crafts. Do you think that the support of the educational institutions and the parents is important for the implemented activities to have a long-term positive effect? 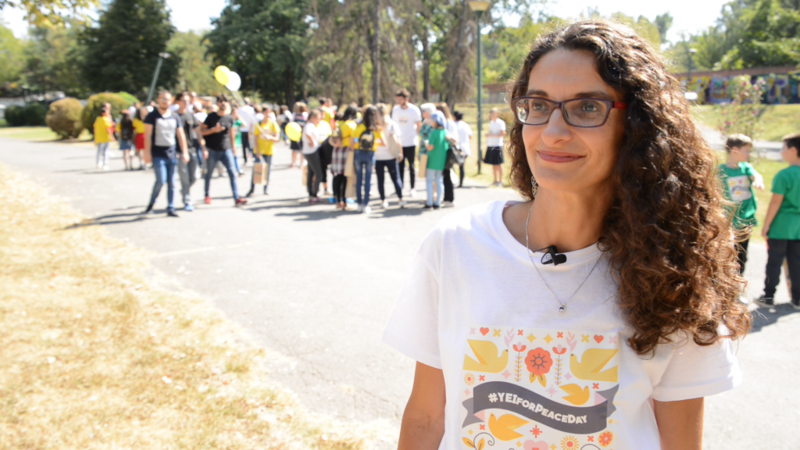 The support is very important, especially for us, the teachers. The workshops of this type would not be a reality if they did not have the support of the institutions. In order to have a long-term positive effect, long-term activities are needed, and in that regard, the support from the institutions, and especially from the parents, is also very important. It also requires meaningful sustainability and continuity of the support. Do you have the support of the students’ parents? How do you cooperate with them? Without the support of the parents, it would not be possible to organize workshops with a multiethnic character. Those parents who are able to do so because of their working hours, attend the workshops and work together with us. Their confidence in us as educators is sufficient, and it is reflected in the fact that they support the students to participate in workshops of this type. They appreciate the need for such workshops. The need is seen in the happy faces of the students. They understand the need to develop the awareness of living in a multiethnic society. The interest of the teaching staff in conducting such activities is instrumental for the successful improvement of the interethnic integration among young people. It is undisputable that the teachers set an example for the young people, but the professional development of the teachers also implies learning of teachers from each other. 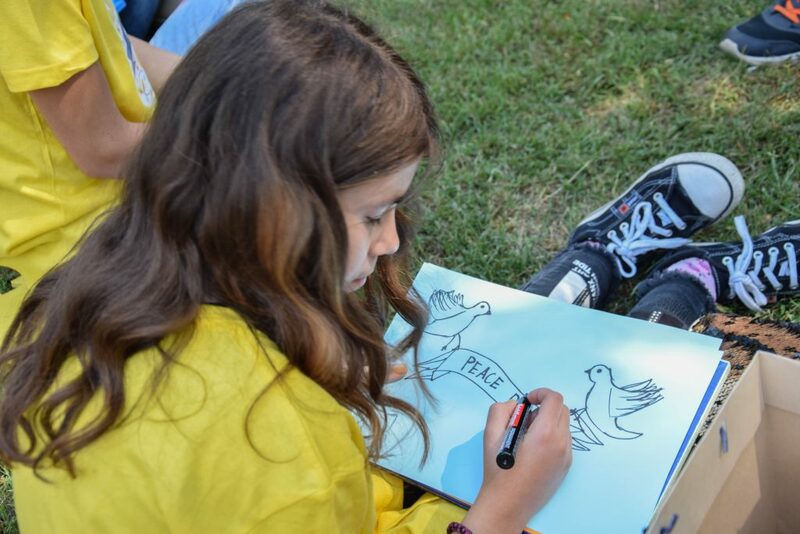 What would your message to the other teachers across Macedonia be? Personally, as a teacher, I always take part in projects that involve workshops with a multiethnic character. As I said, I find motivation in the bright and smiling faces of the students, the growing number of volunteers for participation in the workshops, the moments when I see the pleasure on their faces when socializing with students of different ethnic background, the way they communicate, cooperate … all of this guarantees a promising future for all of our children. It is indisputable while in school, the students grow, develop and learn about coexistence. That is why the teaching staff is crucial for the improvement of the interethnic integration among young people. I encourage every teacher to take part in projects and workshops of this type. Our work and our dedication are very important for the future of the society. Young people are the future of society – a future in a multicultural and multiethnic society, a society where diversity is respected.